If the first part of this special emphasis put some proposals on the international catwalks overlooking the hands of designers like John Galliano, Raf Simons and Jil Sander houses like D & G, in the second we propose a selection of clothing with prices for all pockets ideal for recreating this inspiring trend. 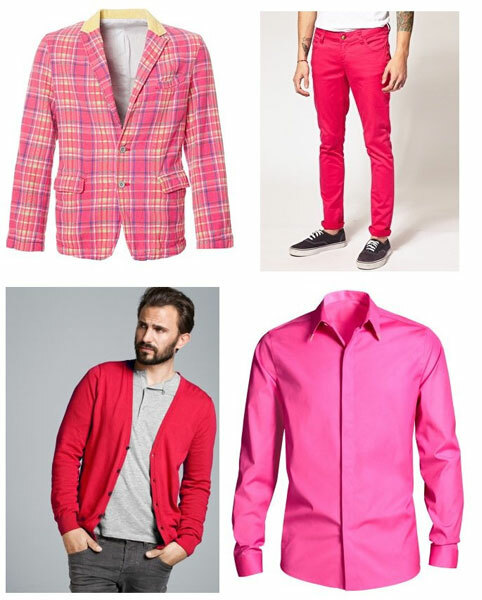 It’s definitely one of the successes of this season, Add a splash of color brighter than your darkest winter outfits, so for example with its own light shine if you mix the usual flannel trousers (the closer this year than normal) with items like this incredible American cotton patterned in pink tartan of Topman (90 €), or this pink shirt with metallic accents on the neck and subtle gloss finish Versace for H & M (40€). In the same way you wear your favorite jeans with knitted cardigans like this raspberry color H & M (20), and also combine your basic t always flush with American skinny jeans gum pink like this one Monkee Genes (80€). 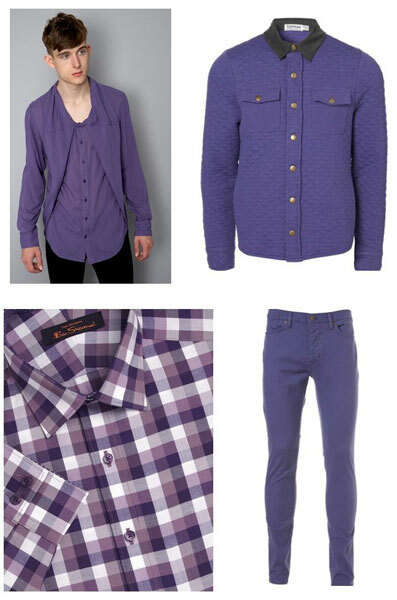 The deep purple is definitely the best option for acertadan who dare untraditional colors. This season wins by a landslide in eggplant pieces as varied style how are you. Pair it with black in looks of great contrasts. For the casual recommend this basic hoddie Cotton of Topman (30 €) or the Harrington Jacket – one Must style essential british- Like this one Ben Sherman (80€). 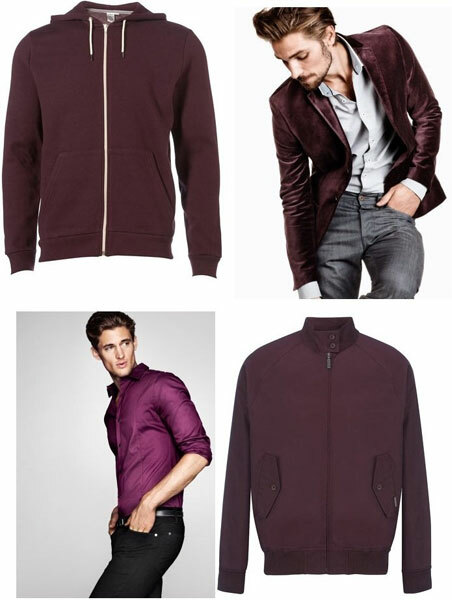 For more formal situations we present two articles in this interesting tone eggplant, the first is a shirt flat and smooth cutting slim H & M perfect to wear with pants smart and pointed shoes, or this great American Velvet purple ideal to combine with a white shirt and jeans straight cut looks semi-formal as classy. Now if you have to look like a real gentleman nothing better than a good suitThe firm Lambretta – Iconic and stylistically mod – We propose in this daring purple dress made of wool and viscose, with American two-button and Straight cut pants, And light satin finish. Wear it with white shirt or t key formal outfits inspired stamped glam for more holidays cool. And we end with Lily tone scale without doubt the best to match the broad palette of shades of gray in all its nuances. And if you still have nothing in your closet lilac I propose that such fine deconstructed shirt Cotton Dusty (65 €), a quilted jacket perfect for the autumn period of Topman (now 30 € 60 € before, thanks to mid-season sales), this plaid shirt regular cutting of Ben Sherman (50 €) or these jeans cigarette of Tompa (40 €). 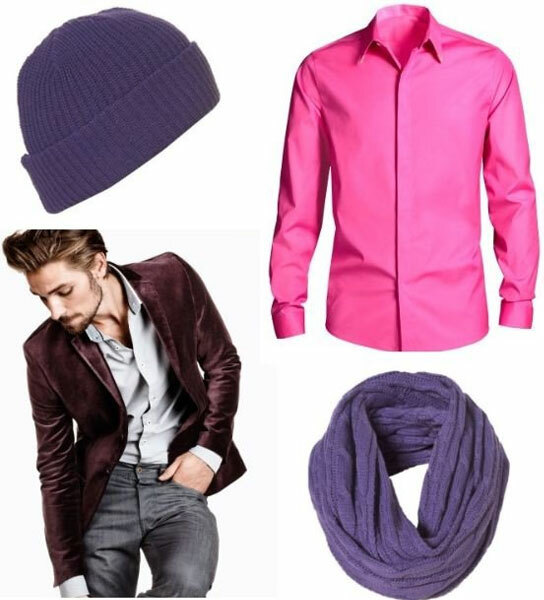 And how could it be otherwise to complete your look with a touch of color as trendy nothing better than to bet on accessories as this point twisted wool cap (15 €) or the neck (20 €) both of retailer Topman English.